Hypnobabies is a very successful 6 week, 3 hours per week, complete childbirth education course that was adapted with permission from Gerald Kein’s “Painless Childbirth Program” techniques rather than using simple relaxation, breathing or guided imagery. This allows our Hypno-moms to enjoy “Eyes-Open Childbirth Hypnosis”, easily remaining deeply in hypnosis while walking, talking, and changing positions; being as mobile as they would like to be during childbirth. Hypnobabies is well-known for helping women to create much shorter, easier and more comfortable births, making childbirth the joyful experience it was meant to be. Our Hypnobabies moms are “deprogrammed” from the typically negative childbirth stories they’ve always heard, by participating in class, reading our materials and by listening to Hypnobabies audio tracks, which have many positive birthing messages. This primes our Hypno-moms to remain relaxed and confident during pregnancy and to enjoy preparing for childbirth. 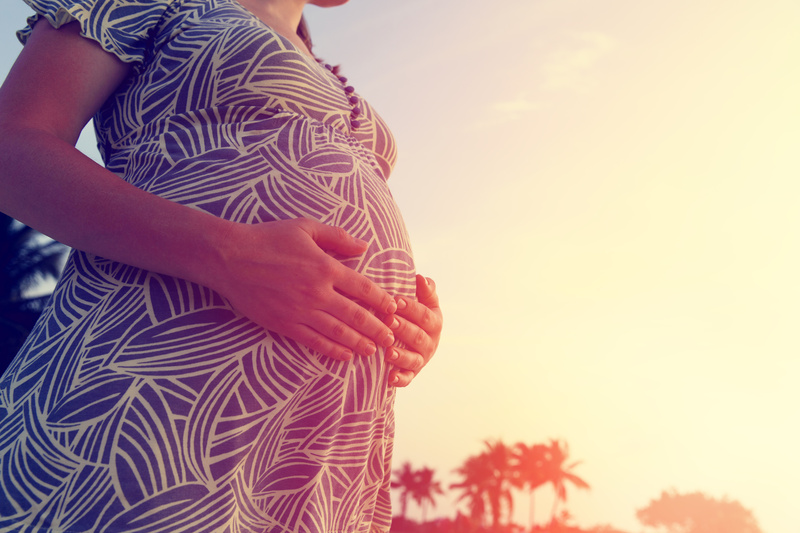 We utilize a very deep state of hypnosis and specific, repeatedly enforced hypnotic suggestions during pregnancy to re-train the subconscious mind to perceive birthing sensations comfortably. Shorter births using hypnosis to minimize discomfort and fear and to help relax the birthing muscles. Fewer complications and interventions, as the body and mind stay completely relaxed. Blood pressure, heart rate, and temperature can be lowered and nausea, back and hip pain eliminated with hypnosis techniques during pregnancy and birth. Posterior and breech babies can be turned with hypnosis as well. Fewer drugs or no drugs at all which means less risk Posterior and breech babies can be turned with hypnosis. of harmful side effects for mother and baby. Elimination of the Fear/Tension/Pain cycle with the use of post hypnotic suggestions. CD’s and scripts are used in labor with post-hypnotic suggestions for relaxation and elimination of discomfort. More energy because they are able to easily remain relaxed and comfortable. They rest and have more energy to push their babies out into the world! Calm and peaceful birthing environment when the natural childbirth mother is comfortable. Birth partners, family, and medical caregivers remain more relaxed, calm and confident. Calm, confident birth partner. Birth partner gets their own hypnosis audio track which allows them to feel confident about pregnancy and childbirth, before and during the big day! They learn deep relaxation and confidence building exercises.